The game formerly known as Obscure, now known as Final Exam has just gotten a demo available for all to play. You might want to check the side scrolling brawler out if our review didn't convince you it was worth your hard earned money. The demo contains the entire first chapter of the game to play. You can take on the test solo or play up to four players in co-op. In fact, from the official press release it really sounds like they want you to try the game in co-op. 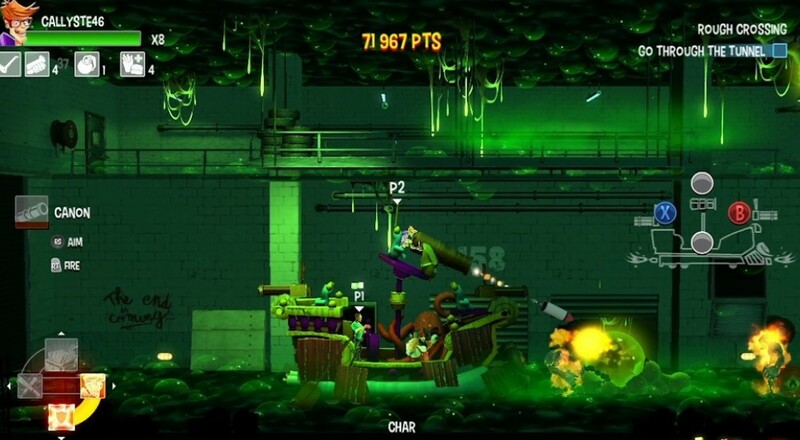 Similar to the full game, the demo version takes on a whole new dimension in Co-op mode. Split your team up to achieve your objectives as quickly as possible or stick together to increase your chances of survival: in Co-op, Final Exam has more explosions and more monsters to guarantee hours of hair-raising gaming thrills! Replay a chapter with your new weapons and skills to improve your score and reach the top of the leaderboards! Score fanatics, fans of ultimate combos and slugfest purists please note: the demo has its own official solo and multiplayer leaderboards! The demo can be downloaded from the official site or via Steam.